Sur Sarovar Bird Sanctuary: Sur Sarovar Bird Sanctuary is located along the Keetham Lake, the Sur Sarovar Bird Sanctuary was granted official status in the year 1991 by the State government. Protecting over 300 species of exotic native and migratory birds that are found here include Siberian cranes, Sarus cranes, Brahminy ducks, Spoonbills, Bar-headed geese, Gadwalls and Shovellers. The entire lake area gets covered by profuse growth of macrophytic vegetation of water hyacinth (Eichornia sp.) and Potamogeton sp. during summers. More than 106 species of migratory and resident birds are known to have their resting habitats at Sur Sarovar. The entire lake area gets covered by profuse growth of macrophytic vegetation of water hyacinth (Eichornia sp.) and Potamogeton sp. during summers. 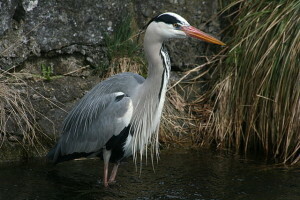 The water quality of Keetham lake supports wide range of avifauna during winter season.